Here are my picks to roll, and get rolled, in Week 9 of the 2014 season. Nick Foles, QB, Eagles at Texans. Foles has been finding his groove over the last three weeks, though he is still tossing as many interceptions as TDs. Houston's defense excels against the run, while its secondary poses few problems to opposing passers. 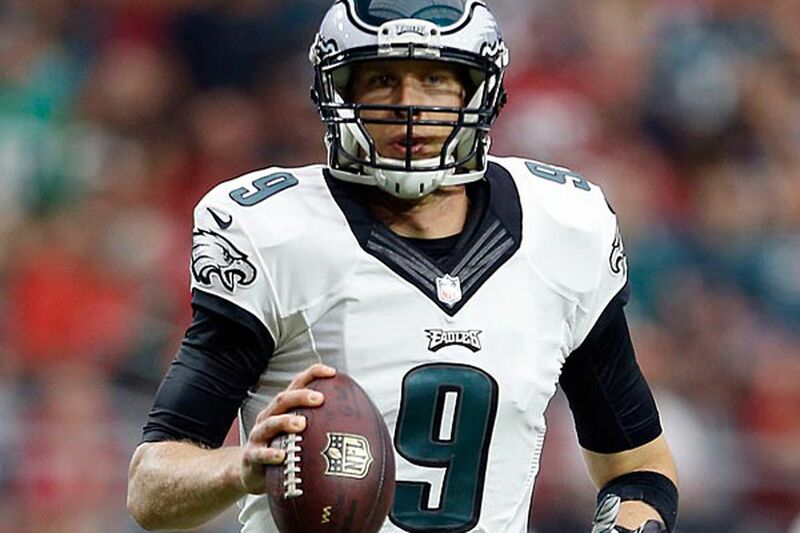 Foles should find great success, likely posting his second three-TD outing of the season. Ronnie Hillman, RB, Broncos at Patriots. Everyone is expecting an aerial showcase in this game, and we'll certainly get that. But Hillman has proven to be a worthy change-of-pace in the Broncos' high-powered offense. If you can stomach the prospect of more goal-line vulturing from Juwan Thompson, Hillman is your guy against the weak Patriots run defense. Denard Robinson, RB, Jaguars at Bengals. Counting on a Jaguar player is always a dicey proposition, but Robinson has found a way to make chicken salad out of chicken scratch. He has posted 100-plus yards in consecutive weeks and will face a Bengals run defense that has surrendered 278 yards and three TDs on the ground over the last two games. Andrew Hawkins, WR, Browns vs. Buccaneers. Last week against the lowly Raiders, Brian Hoyer got back on track and Hawkins scored his first TD of the season. With Cameron Jordan (concussion) out, the duo will now face an arguably worse pass defense that seems to have already thrown in the towel. Terrance Williams, WR, Cowboys vs. Cardinals. Regardless which QB is at the controls this week, Dallas should have no trouble moving the ball through the air against Arizona's soft secondary. Joe Flacco, QB, Ravens at Steelers. Remember way back in Week 6 when Flacco was the toast of Fantasyland? Yeah, well, he's regressed since then (as is his custom), tossing twice as many picks (four) as TD passes (two). Seemingly out of rhythm with his receivers, Flacco can't be trusted on the road in this traditionally low-scoring matchup. Tre Mason, RB, Rams at 49ers. The Rams' backfield is a hot mess and they just lost their best offensive lineman. The quest to identify a weekly "hot hand" has led to a democratic distribution of touches among all three backs. Though Mason looked like the leader two weeks ago, he isn't getting enough opportunities to excel. The 49ers' run defense didn't give up much against this trio two weeks ago, either. Chris Ivory, RB, Jets at Chiefs. The inevitable transition at QB has finally taken place, but Michael Vick is not the feared passer he once was. Expect the Chiefs to sell out to stop the run, both by Vick and his backfield mates. Ivory has been effective in recent weeks, but I don't like his chances in the unfriendly confines of Arrowhead. Keenan Allen, WR, Chargers at Dolphins. Philip Rivers is too hot to bench, even in a bad matchup; but Allen is a different story. Though he finally found the end zone in Week 8, Allen is no longer Rivers' go-to target. Wes Welker, WR, Broncos at Patriots. Aside from the home crowd, who wouldn't love to see Welker come up big against his former team? It's a delicious story line, and Peyton Manning will surely give him his chances. But Welker has become a bit player in this offense, and Manning has too many hungry mouths to feed. Play with your head, not your heart.